The Blues ace has stalled on signing a new contract at Stamford Bridge. Chelsea representative Tore Andre Flo tried to keep the questions to a minimum on the subject. And the Blues are getting fed up of the constant reports linking Hazard to Real Madrid. Los Blancos are said to be concerned by Chelsea’s current two-window transfer ban as it may mean the Blues try to block any move. Transfer expert Ian McGarry believes Chelsea already know they will sell Hazard this summer though. 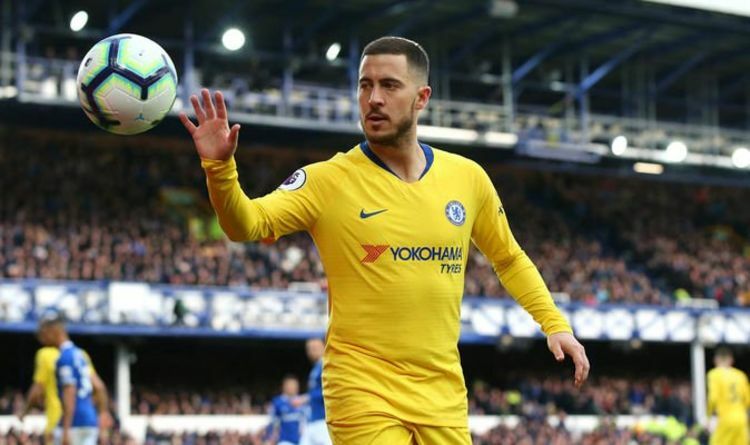 “I’ve been told many times, right from close season last summer, that Hazard was perfectly calm about his situation, that he’s spoken to Chelsea and told them that he didn’t rule out staying at the club,” he said on The Transfer Window podcast. “However, if Real Madrid came in for him and they found a way to agree a valuation etc then it was his choice to leave. “And rather than do it last summer, where he had a period of believing he might move along with [Thibaut] Courtois to Madrid in that window, he decided that that was not something that he wanted to do, it would upset Chelsea too much and he felt at his stage in his career he could wait another year. “So I’m fairly certain that Chelsea already believe that they will sell Hazard to Real Madrid. “It’s the player’s choice, he’s been a brilliant servant, probably for more years than maybe he might have stuck around for to be fair. “But he leaves in the peak of his career, he’s got the best years in front of him. “And playing in a Real Madrid attack with Neymar, it would be very interesting to see who plays as the middle of the three up top.